ABOUT VISHTEN: In the North Atlantic Ocean, in the Gulf of Saint Lawrence off Canada’s east coast, lays tiny Prince Edward Island and nearby, the even smaller archipelago known as the Magdalen Islands (Îles-de-la-Madeleine). In addition to being connected today by a ferryboat, both islands have a shared history and cultural ties that date back several centuries, the tale is of early French Acadian settlers seeking a better life in the new world. In their quest to survive, many of these settlers eventually became fishermen and carried with them their musical traditions as a means of celebrating their survival. Today, there is but a small enclave on Prince Edward Island where the French culture is predominant, while the Magdalen Islands still remains primarily French. For centuries, there has been a musical connection between these two places, traded back and forth through fishing trips and marriages among members of both communities. 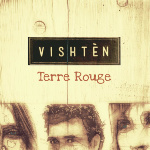 Contemporary Acadian traditional group Vishtèn embodies the spirit and the sound of this connection, in the present tense. Group members Pastelle and Emmanuelle LeBlanc and Pascal Miousse have become a distinctive and powerful international voice for traditional music from this part of the world. All three members are direct descendants of the first colonial families that inhabited their respective islands and second-generation traditional musicians. Twin sisters Emmanuelle and Pastelle LeBlanc were raised on Prince Edward Island and grew up in a household where fiddle music and percussive dancing was a common part of everyday life. Similarly, Magdalen Islander Pascal Miousse’s home was a frequent meeting place for traveling fiddlers and music sessions. From their traditional roots, these three creative island musicians have been crafting their own brand of new traditional music and a trademark sound that combines original compositions and traditional French-Acadian songs with driving rhythms. 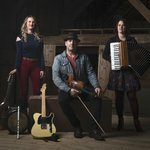 All highly accomplished multi-instrumentalists and singers, their unique blend of fiddle, guitar, accordion, harmonium, whistles, piano, bodhrán, jaw harp, Moog, electric guitar and percussive dance make for a unique tour de force, weaving together traditional and contemporary sounds. 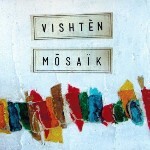 Since forming in 2000, Vishtèn has become one of the most exciting folk bands on the international music scene. During this period they have released five albums, won numerous awards and have played more than a thousand performances in more than a dozen countries throughout Europe, Australia and North America. From the Vancouver Winter Olympics to the Newport Folk Festival, Les Printemps de Pérouges in France and Festival International de Louisiane to Woodbury Folk Festival in Australia, Vishtèn has won over audiences of all sizes – they are equally at home in intimate listening rooms or before throngs in the tens of thousands. 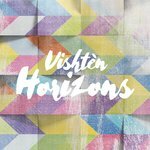 With inspiration, deep respect, and a love for the sounds and rhythms forged by the musicians who came before them, Vishtèn continues to reinterpret the music of their parents, all the while creating a future heritage of new music – their own legacy to inspire musicians for generations to come.